Lately I've had an insatiable craving for s'mores. 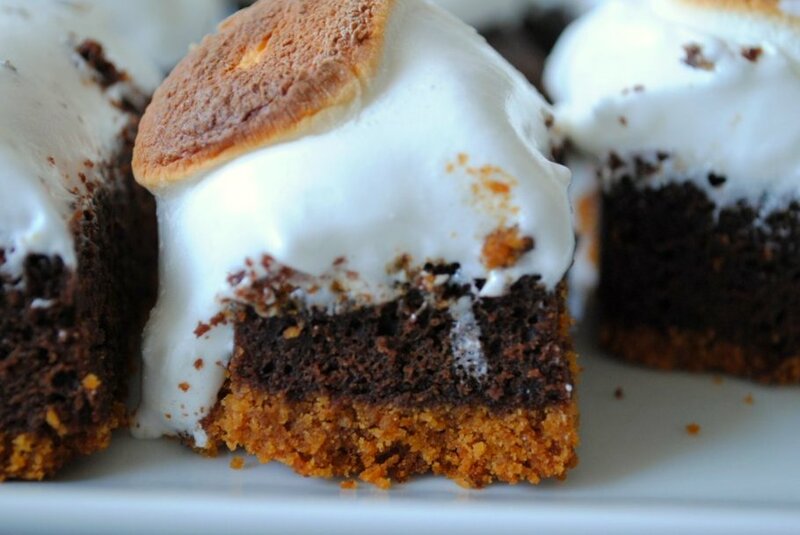 I've been dreaming about s'more pies, s'more cupcakes, and classic campfire s'mores. 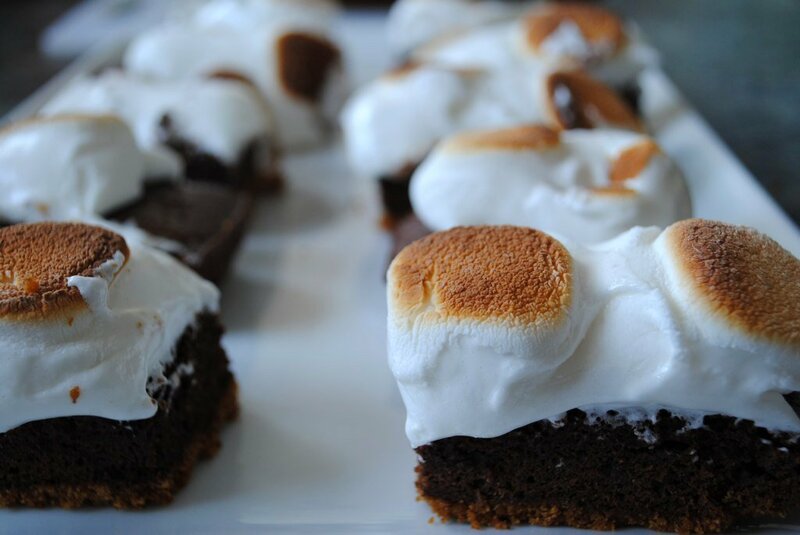 But given my love for brownies, I decided to make s'more brownies. Despite me being extremely excited to make them, the process was anything but smooth-sailing. They caught on fire. Not a I-swear-I-saw-a-spark kind of fire, but a flaming-brownies-me-screaming-and-frantically-throwing-water-in-the-oven kind of fire. But that didn't stop me from going to the grocery store, buying all new ingredients, and starting over. The second batch turned out beautifully. Maybe I should reconsider the lengths I'm willing to go to for brownies. But probably not. The detrimental mistake I made was putting the pan too close to the broiler while trying to toast the marshmallows. The recipe says to broil for two minutes, but in my oven it took about 20 seconds, so make sure to keep both eyes on them at all times. If you have a crème brûlée torch, that would probably work best. 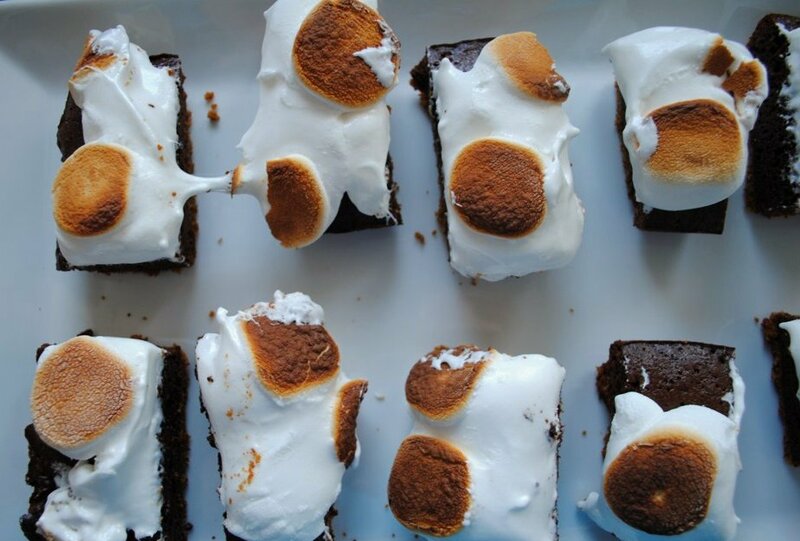 The fire was (mostly) me being careless, so don't let it scare you away from making these brownies. They are intoxicating. *I added sea salt to the graham cracker crust and to the brownie batter to get that salty/sweet combination I'm so addicted to. 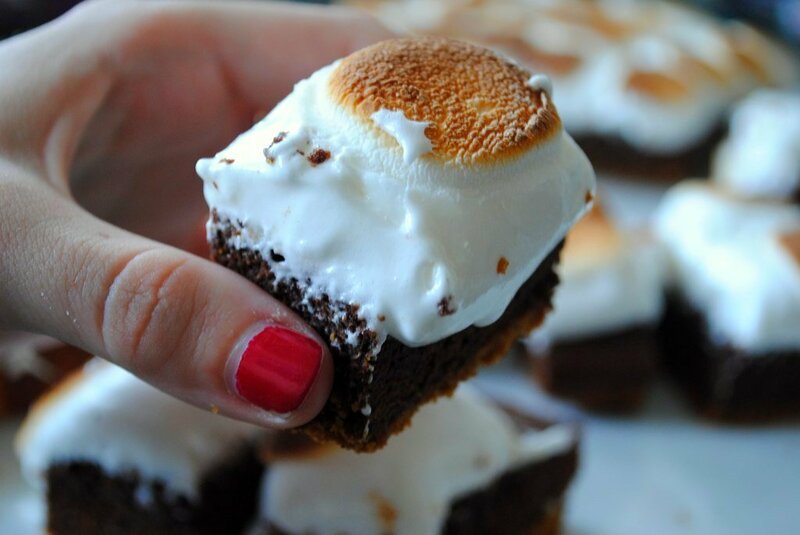 Next time I want to add a little chocolate ganache on top, marshmallows are super sticky to bite into.